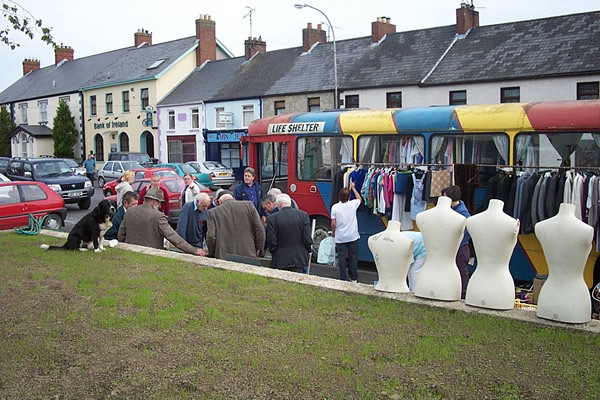 The market is a unique event on the 1st and 3rd Fridays of each month located in Cardinal O'Fiaich Square in the centre of Crossmaglen and filled with a diverse range of market stalls. It is a collector’s paradise, especially with the prices and bargaining skill of the traditional market customer. Local people catch up on their neighbours and there is a wonderful sense of community sharing of contacts, information and support. 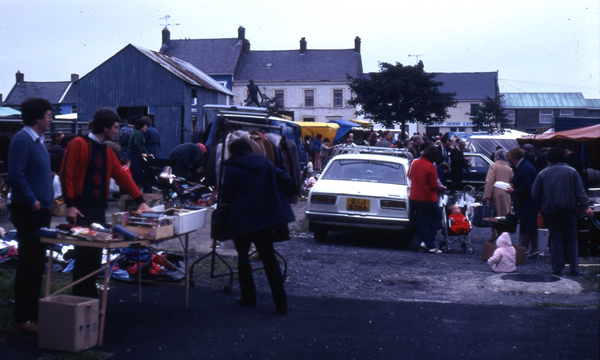 Crossfire Trust has been going to the market since 1981. We are probably the longest serving ‘trader’ and can remember the old cattle market in the square and helicopters in the sky (which often blew over our stall!). This is a wonderful space for conversation. 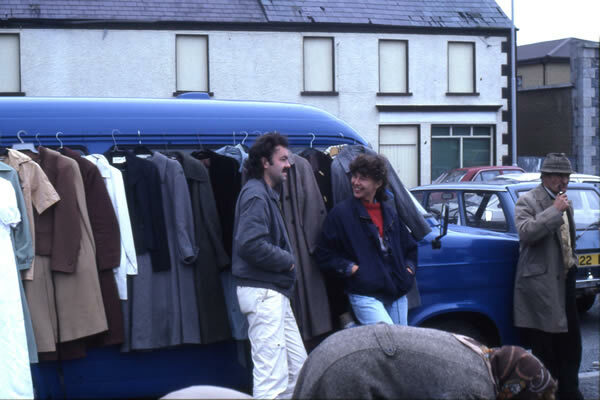 People are relaxed and of course keen on a bargain and at our stall we offer hope as well as clothing. We like to be in our position for 8.00am and come armed with soup, snacks, household items and a note pad to jot down requested items and prayer needs. Over the years our stall has developed using the various different outreach vehicles. 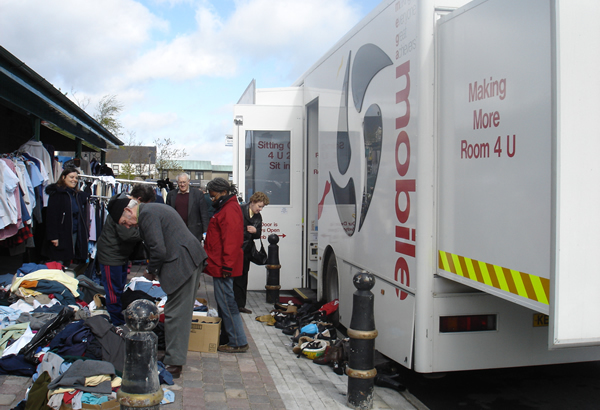 Today we bring the Mega Mobile, which provides shelter and hot food and of course good interaction with real people on topics of the day or life issues. We are always looking for volunteers to help us at the market. Contact us at admin@crossfiretrust.net or 028 3753 1636. 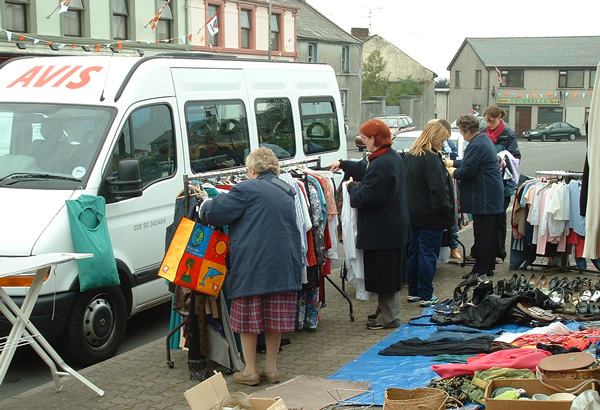 Below are some pictures of Crossfire Trust at the market over the years.